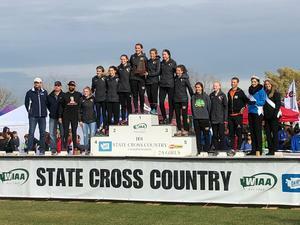 Congratulations to the WVHS Cross Country team and Coach John Moir for winning the WIAA State Championship! This is the 3rd State Championship for WVHS girls cross country (1986, 1977) and the first championship for WVHS since 2004-05 (boys track). Congratulations Eagles!